.83" rain fell on the Twin Cities Monday (MSP International). 2.57" soaked Alexandria. 10 days above 90 in the Twin Cities during July. +5.6 F. Average temperatures last month were 5.6 degrees warmer than average in the Twin Cities metro. 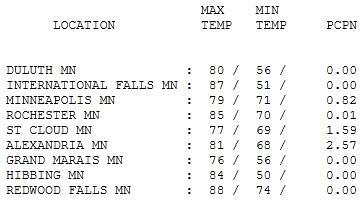 98 hours of dew points greater than 75 F. in the Twin Cities (a new record). 30 year average: 18. Details below. 2,676 temperature records were tied or broken, nationwide, in July. July, 2010: 1,444 temperature records were set. 1871: Washington D.C. just experienced the hottest July since 1871, according to NOAA. Straight-Line Wind Damage. Good friend and former WCCO-TV anchor and reporter Don Shelby called me yesterday - he has a place up on Lake Ida near Alexandria, said traffic was blocked off in Glenwood and Kensington, due to downed trees and powerlines. Click here to see the complete run-down of damage from Monday's severe storms here. A Month's Worth of Rain On Monday. 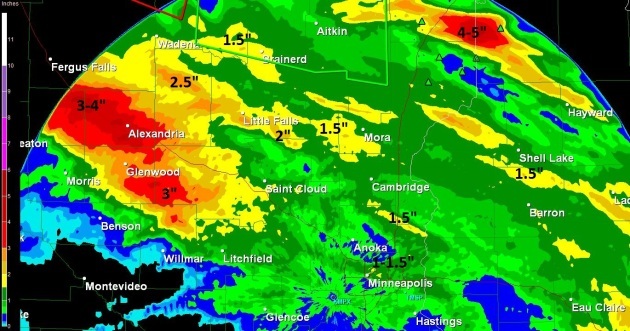 NWS Doppler radar rainfall estimates show some 3-4" amounts near Alexandria and Glenwood (where there were numerous reports of straight-line wind damage. 1-3" amounts were common from Detroit Lakes into the Brainerd Lakes area, resulting in flash flood warnings over much of northern Minnesota Monday night. Tuesday Severe Threat. 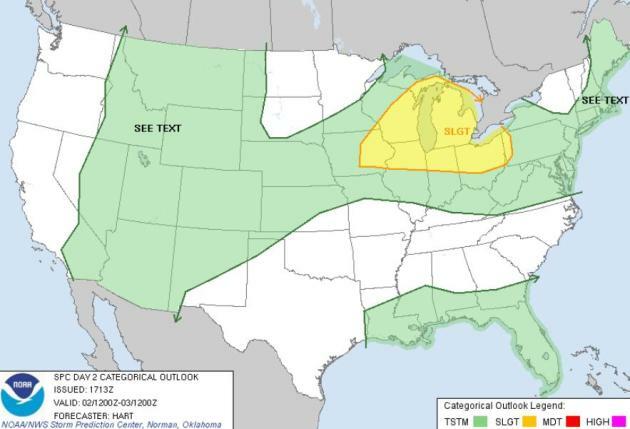 Severe storms are possible from the Quad Cities of Iowa to Milwaukee, Chicago, Detroit and Cleveland later today, according to SPC. 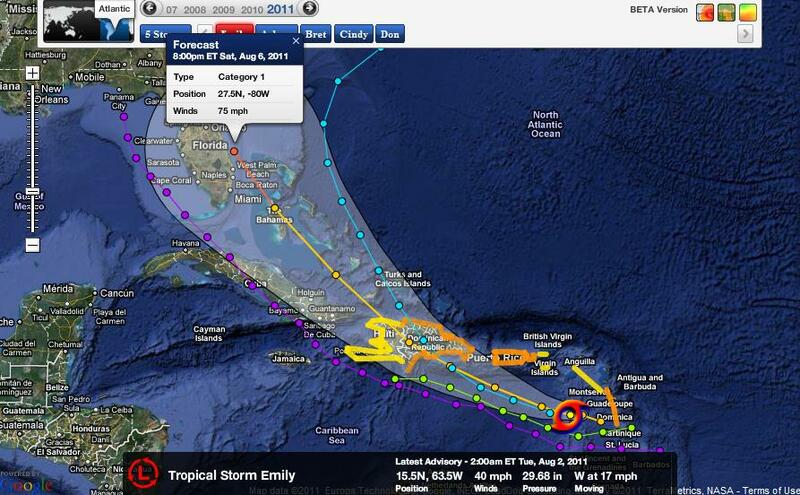 Tropical Storm Emily. A minimal storm with sustained winds of 40-45 mph, Emily is forecast to slowly strengthen in the coming days. At least one model brings Emily close to Florida by Saturday as a category 1 hurricane. Stay tuned. The Dripping (Unbearable) Summer of 2011. Here's a post from Pete Boulay at the Minnesota State Climatology Office: "the National Weather Service is forecasting a break in the high dew point temperatures over the next few days after the muggy day today. So far this summer as of 3pm August 1, there have been 274 hours of dew point temperatures of 70 degrees or higher recorded at the Twin Cities International Airport. The record is 512 hours in 2002. What really stands out are the counts of extremely muggy dew point temperatures. So far this summer as of 3pm August 1, there have been 98 hours of dew point temperatures of 75 degrees or higher. This breaks the old record of 78 hours that was set back on 2001." "Dew point often directly correlates to deeper atmospheric moisture and instability, two parameters that are conducive for severe thunderstorms in the presence of some type of weather front. Thus meteorologists often look at dew point as one of the key elements in forecasting severe weather potential. Indeed, the dew point during some of the area's severe weather events this year was quite high, over 9° above the 2011 summer average so far." Dew Point Trend. Dew points linger in the low 70s today, but dip into the 50s Wednesday (meaning half as much water in the air). More humid air returns later this week, 65-73 degree dew points from Thursday into the weekend. July Heat In Washington D.C. Was Unprecedented. Here's an article summarizing the record heat in our nation's capital, courtesy of the Capital Weather Gang, reporting for the Washington Post: "Relentless and punishing, July’s heat was unrivaled in 140 years of Washington, D.C., weather record-keeping. The July temperature averaged 84.5 degrees at Reagan National Airport — Washington’s official weather station — more than a degree above July 2010 and July 1993, which previously held the mark for hottest month. July’s heat piled onto a torrent of recent hot-weather records and attained all sorts of unenviable hot-weather milestones. The high temperature was at least 90 on 25 occasions, the most on record. When the July 29 temperature hit 104 degrees, it was the highest reading since 105 on August 17, 1997, and it tied for the fifth-hottest in the books. On July 22, the heat index — a measure of the combined heat and humidity — reached 121 degrees, the highest level since 122 on July 16, 1980. Amazingly, the month also had eight record days for warm low temperatures, including seven when the temperature failed to fall below 80 degrees. Four of those days came consecutively (from July 21 to 24), the longest such stretch on record by two days. 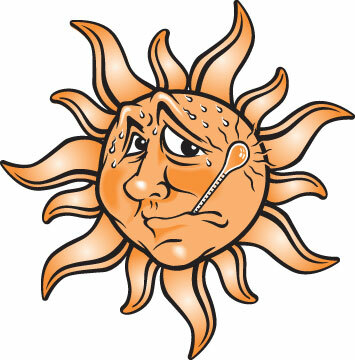 Twice (July 23 and 24) the District tied for its warmest all-time low temperature of 84 degrees. And the heat was off the charts at other weather stations in the region." (photo above courtesy of flickr). 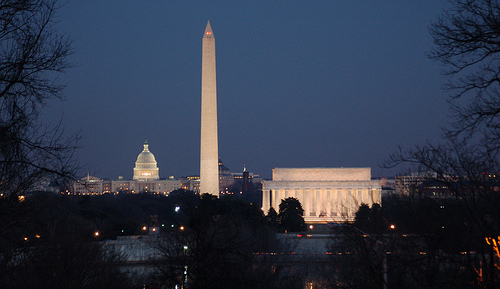 * Washington D.C. just experienced the hottest July since 1871, according to NOAA. More "Beastly Heat". It's deja vu all over again. Tuesday brings 100+ heat indices from the Central Plains across the southeastern USA into Florida. Some relief is likely over the Dakotas, the Great Lakes and New England, as Canadian air filters south of the border. A Hideous Hot Streak. 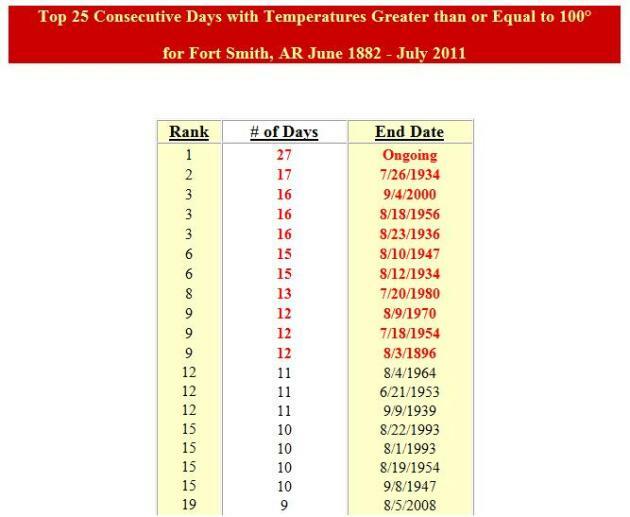 Be glad you're not stuck down in Ft. Smith, Arkansas: 27 days/row above 100 degrees, breaking the old record of 17 days/row set during the Dust Bowl Year of 1934. Source: NOAA. 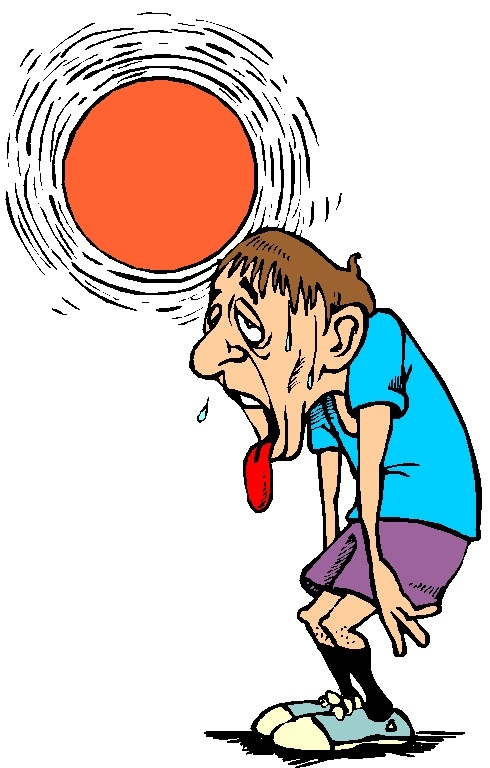 **BLUEFIELD WV HAD AN AVERAGE TEMPERATURE OF 76.2 DEGREES DURING JULY 2011...WHICH SETS A NEW RECORD FOR THE HIGHEST AVERAGE TEMPERATURE OF ANY JULY. *JULY 2011 WAS THE WARMEST MONTH ON RECORD FOR DETROIT. *85.7 THIS RANKS AS THE WARMEST JULY ON RECORD FOR THE WEST PALM BEACH AREA SINCE DATA COLLECTION BEGAN BACK IN 1888. 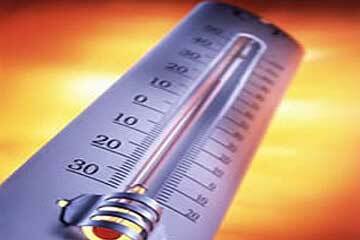 THE PREVIOUS RECORD WAS 85.0 DEGREES IN JULY 1942. Deadly Tornado Hits City In Russia's Far East. 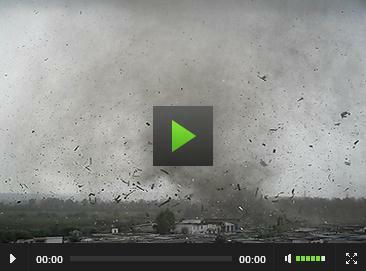 Click here to see the video clip from rt.com: "One person has been killed and twenty eight others injured as a powerful tornado hit the Russian far-eastern city of Blagoveshchensk. The tornado was so powerful that it tore the roofs from houses, turned over vehicles, flattened trees and smashed windows in several buildings. Local authorities have introduced a state of emergency in the city, Itar-Tass news agency reports. 200 people and 50 vehicles are already involved in the cleaning operation." "Shawshank Tree" Damaged By Thunderstorm. AccuWeather has the details: "The oak tree that was made famous by the movie The Shawshank Redemption was severely damaged by wind Friday afternoon. A thunderstorm moving through the area Friday at around 2:30 p.m. EDT produced straight-line winds that damaged the tree according to Mansfieldnewsjournal.com. The tree had a rotten center that weakened it. The storm caused a power outage and damage to other trees. The power was restored by 6 p.m. EDT. The oak tree is near the location where Andy, portrayed by Tim Robbins, hid his treasure. 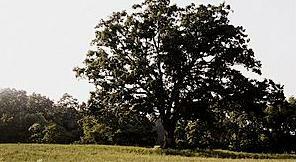 Since the movie, based on a short story by Stephen King, many people visit the tree and take photos, according to Mansfieldnewsjournal.com." Wettest European Cities. Planning a vacation or business trip to Europe? If you're heading to Zurich you'd be well-advised to pack an umbrella, with an average of 42.3" rain/year. 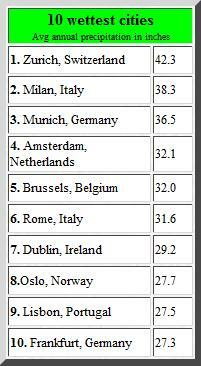 Here's a list of Europe's Top 10 Wettest Cities, courtesy of NOAA and NCDC. 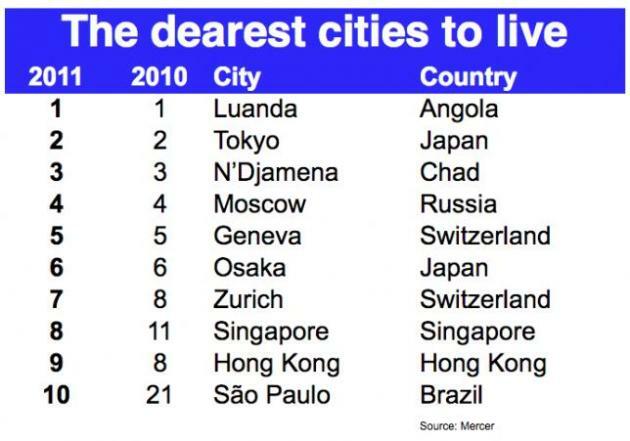 10 Most/Least Expensive Cities To Live In. In the "that's almost interesting" category here are the lists you've been dying to get your hands on, thanks to gizmag.com: "Luanda in Angola, Libreville in Gabon and N’Djamena in Chad are the most expensive extreme hardship locations in the world and thanks to the marketplace volatility which results from local inflation, political instability, currency fluctuations and natural disasters, Tokyo has consolidated its title as the most expensive of the recognised cities of the world in which to live." 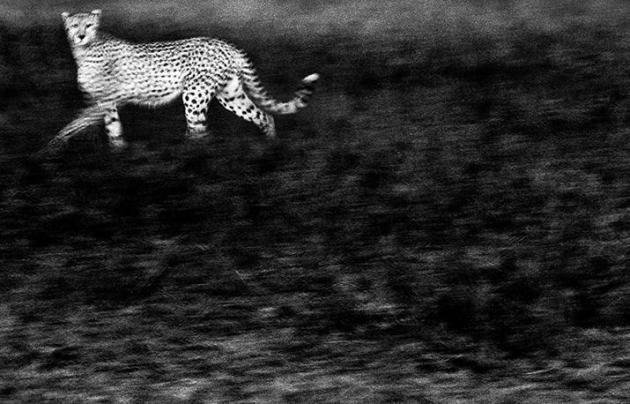 GDT European Wildlife Photographer Of The Year: 2010. Here's a terrific series of nature-related photographs, courtesy of the U.K. Guardian: "Weird and wonderful animals from land and sea feature in the best snaps from around the world for the GDT European wildlife photographer of the year awards." 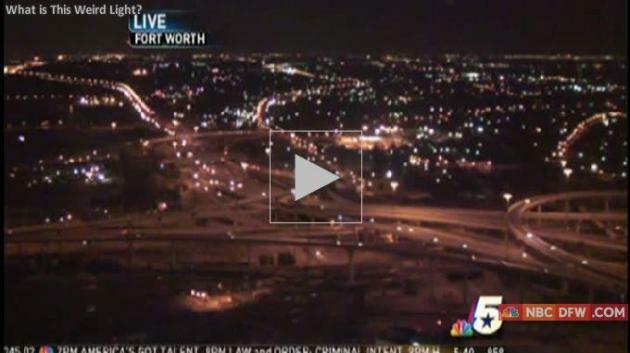 KXAS-TV Calls In UFO Specialists After Traffic Camera Records Strange Light In Dallas. The odd story from TV Spy and KXAS-TV in the Dallas/Fort Worth market: "Strange things are afoot in Dallas. In the early hours of Monday morning, a KXAS traffic camera recorded a strange light falling out of the sky (above). Station management has now called in a UFO specialist to analyze the video frame-by-frame in hopes of determining the source of the mysterious light." Saved By (Severe Thunderstorms). The wave of unusually strong storms that raged across the metro area Monday kept temperatures at least 10 degrees cooler than they would have been otherwise. The .82" rain kept the mercury down to 79 in the Twin Cities. 1.59" fell at St. Cloud, a whopping 2.57" at Alexandria, 3 1/2 week's worth of rain. "Dad, what do we do if a tornado approaches the cabin?" my oldest son asked. Great question. "How fast can you run?" Bad answer. 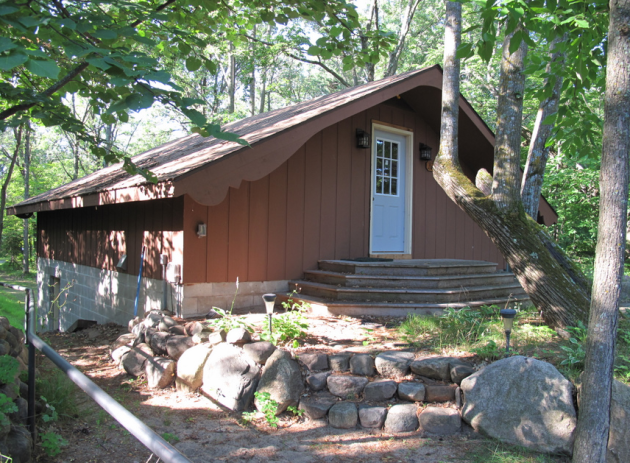 It's a real dilemma up north: many cabins, trailers & campsites are completely exposed & vulnerable to severe weather, much more so than here in the MSP metro area. If you don't have a basement the safest place may be a crawl-space, even a ditch. NOAA Weather Radio & apps on your smartphone can give you a greater margin of safety and advance warning. I just added Internet & cable TV to my cabin. Kind of defeats the purpose of a cabin, come to think of it. Duh. Yesterday's severe storms and torrential, jungle-like rains are rumbling toward Chicago. Winds shift to the northwest today, an encouraging development. Dew points drop from low 70s today into the 50s Wednesday, meaning half as much water in the air. Dry weather should prevail into Thursday, giving your yard (or fields) a chance to dry out. More T-storms return for the weekend (naturally). I'm just the messenger. 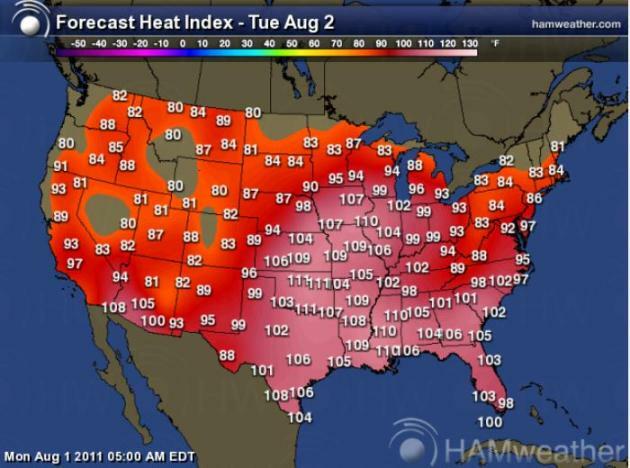 Good riddance to July: hottest in D.C. since 1871 - 2,676 temperature records across the USA. Things should mellow in August, fewer storms (and nasty heat spikes). At least in theory. In The Flood Zone, But Astonished By High Water. Here's an excerpt of a New York Times story focusing on the incredible duration and intensity of the flooding on the Missouri River: "DAKOTA DUNES, S.D. — Some skeptical locals offered a warning when developers transformed this mostly barren peninsula at the intersection of two rivers into an exclusive planned community, complete with million-dollar homes and a private golf course designed by Arnold Palmer. They call it “the Dunes” for a reason, the warning went — the rivers put the sand there, and the rivers could sweep it away. But, much like the developers, the new residents were not worried. A few even paid a premium to be closest to the flowing water of the Missouri and the Big Sioux. Now, a little more than two decades later, the stately homes on Spyglass Circle and Pebble Beach Drive have been evacuated and the 18th hole is under six feet of water, as miles of newly built levees strain to keep this community from surrendering to a historic flood. Many residents here at the southeastern tip of the state, where it borders Nebraska and Iowa, say they never imagined this chain of events." 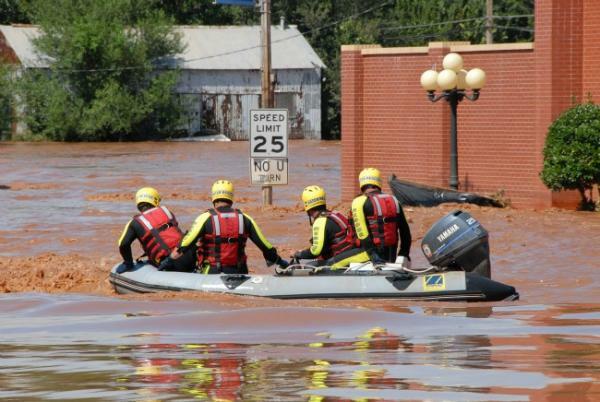 Recent Floods Shatter U.S.'s False Belief In Taming Rivers. The New York Times has the story - here's a brief excerpt: "DAKOTA DUNES, S.D. — Skeptical locals offered a warning when developers transformed a mostly barren peninsula at the intersection of two rivers into an exclusive planned community, complete with million-dollar homes and a golf course. They call it “the Dunes” for a reason: The rivers put the sand there, and the rivers could sweep it away. Now, a little more than two decades later, stately homes have been evacuated and the 18th hole is under water, as miles of newly built levees strain to keep this community from historic flooding. And now, some people are using the high waters from North Dakota to New Orleans to revisit longstanding questions about whether the very government programs designed to safeguard people from floods actually encourage them to take chances." (photo: ouramazingplanet.com). 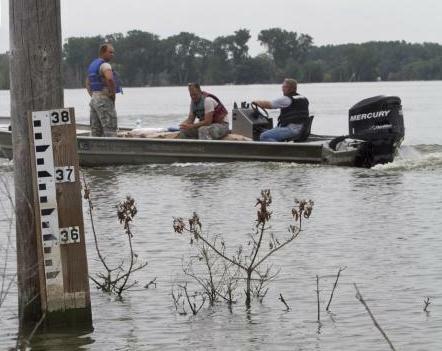 Army Corps Battles Perceptions In Missouri River Flood. Here's a USA Today story revolving around the politics (and inherent unpredictability) of flood forecasting: "SIOUX FALLS, S.D. — Jody Farhat had a problem. It was June 3, and the Army Corps of Engineers' water management chief for the Missouri River basin had just received word that contractors building a private levee in Dakota Dunes had been delayed. 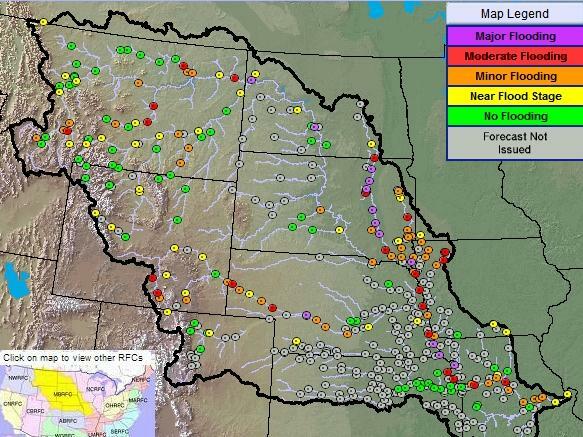 They needed the corps to postpone stepping up water releases from Gavins Point Dam -- pivot point in the battle between upper and lower basin interests on the Missouri River -- for an extra day. "Don't feel we have much choice here," Farhat wrote other corps officials. Brig. Gen. John McMahon, commander of the corps' Northwestern Division, replied soon after: "Roger. Thanks. This is a smart 'political' move IF it's supportable from a (water management) perspective." The next day, another official jumped on the email thread: "You know the politics -- We'll do what we need to do." They agreed that news of the schedule change should, for now, stay with the corps. "Of course, nothing public," engineer Paul Boyd wrote." Twilight Of The Glaciers. Here's an excerpt of an important story in the New York Times: "AN hour or so up ahead, at the higher elevations along the trail that leads over Siyeh Pass, huckleberries were ripening. Even a dawdling day hiker like me knows that huckleberries can quickly mean grizzlies in Glacier National Park. I indulged a nervous tic and patted around for the loud red aerosol can on my belt, whose label reads Counter Assault. It’s effective as a bear repellent, but even more reliable at making an urbanite feel faintly ridiculous. I was in northwest Montana for the hikes and the huckleberries, but most of all to experience the namesake glaciers, which, I had recently learned, might be around for only another decade or so. Given that a century and a half ago there were 150 and now there are 25, the trip makes me an enlistee in the practice known by a somewhat prickly term: last-chance tourism." 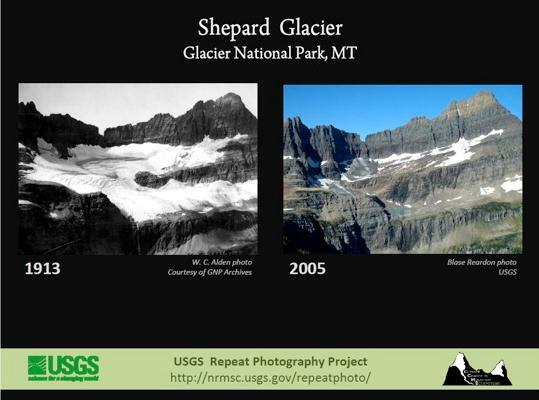 (before/after photo above courtesy of the USGS). Obstacles To Capturing Carbon Gas. An informative article from the New York Times (subscription may be required): "BRUSSELS — Can the world use fossil fuels and protect the climate too? That is the goal of carbon capture and sequestration, which is a process for trapping carbon dioxide before it reaches the atmosphere and then pumping it underground, or under the seabed. The process is already used by oil and natural gas companies like BP and Statoil at sites like In Salah, Algeria. There, the carbon dioxide that exists along with natural gas is captured and stored onshore in a saline aquifer. Despite a tiny leak from a faulty wellhead valve four years ago, and despite the need to reduce the quantities of carbon dioxide injected because pressure had built up in the saline aquifer faster than expected, BP of Britain and Statoil of Norway said, millions of tons of the greenhouse gas have been prevented from reaching the atmosphere. Oil and natural gas companies also have trapped large amounts of carbon dioxide in the minute pores and spaces in rocks at similar projects in countries like Norway and Canada. But efforts to make the process, known as C.C.S., a mainstay of efforts by the power industry to go green are hitting obstacles." (graph courtesy of NOAA).